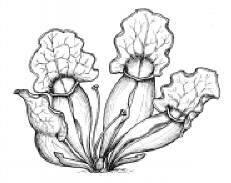 These are just some illustrations I did for someone who wanted to put carnivorous plants coloring pages onto their website. Features the usual cast of insect-devouring plants: Venus fly trap, sundew, cobra lily, pitcher plant, plus a few others. You can use these drawings for other purposes, too, not just for coloring. 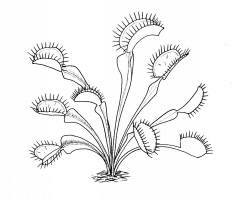 If you need some black and white carnivorous plant clip art, here you go.